January | 2015 | Live Healthy S.C.
As Asbestos Section Manager for the Department of Health and Environmental Control (DHEC), Robin Mack works with a wide spectrum of clients across the state to help ensure that all safety regulations concerning the removal of asbestos are carefully adhered to. Ever-changing, Mack’s daily tasks and responsibilities range from speaking with clients over the phone, conducting site visits, working with local municipalities, and helping individuals and businesses better understand state and federal regulations. 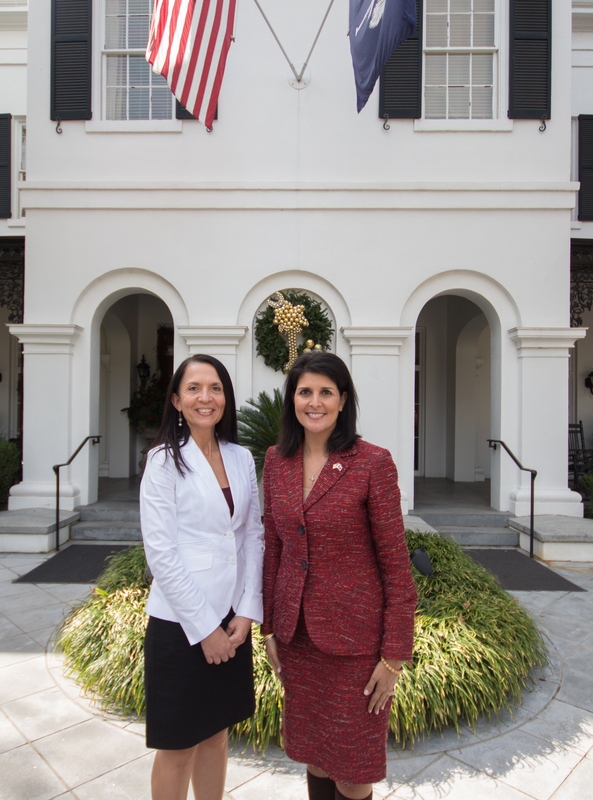 Working hands-on with South Carolinians across the state to find meaningful and innovative solutions to each new challenge, Mack recently joined a small group of her peers for a recognition lunch and round table discussion with Governor Nikki Haley. 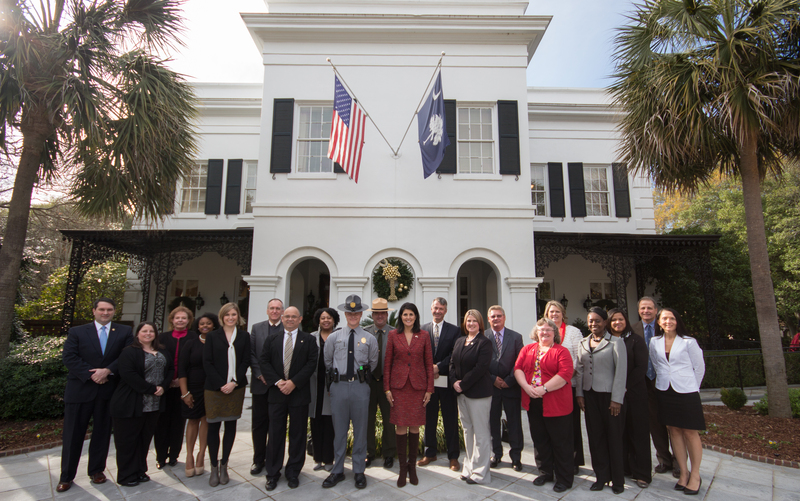 Representing “the best of the best,” this select team of public servants epitomizes the exemplary customer service that is expected of the State of South Carolina. Mack’s creative problem solving skills were put to the test this past year following a fire that damaged several Front Street properties in Georgetown, SC. Recognizing that property owners were faced with limited funds, she remained on site for two weeks, engaging multiple stakeholders, and offering alternative approaches to help minimize their costs. During this time, Mack facilitated the work that a consultant would normally do, saving the property owners money and ensuring that the work was done efficiently and effectively. Thanks to Mack and all of the members of our Asbestos team for your continued efforts to help protect the health and safety of South Carolinians. This entry was posted in Uncategorized and tagged Asbestos, Environment on January 27, 2015 by SC DHEC. Among the leading cause of preventable deaths in the United States, healthcare-associated infections (HAIs) are infections that patients develop while receiving healthcare treatment for other conditions. 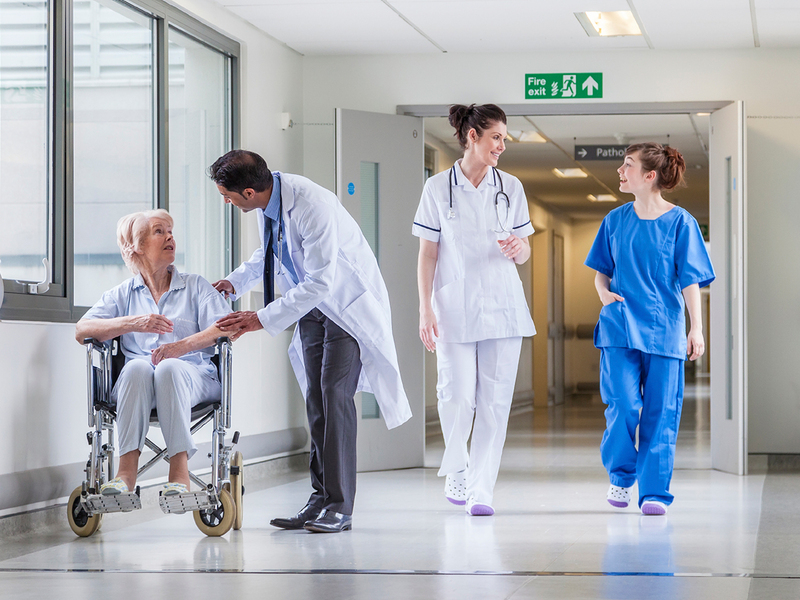 To help reduce the rate of HAIs, DHEC is working with a public-private partnership of health care professionals, state agencies, and health care associations to promote better infection control. 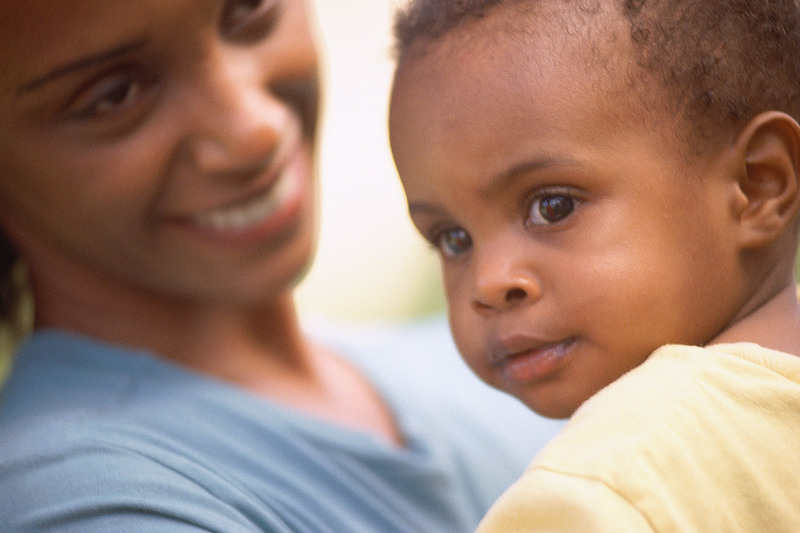 Recent data indicates that South Carolina is making substantial progress in reducing the rate of these infections. One of the most significant improvements from 2012 to 2013 is another 7% reduction in central line-associated bloodstream infections. South Carolina’s rate of infection is now 43% below the national benchmark. In 2013, these infections in adult and pediatric intensive care units were more than 45% below the national baseline data. In addition, South Carolina has become one of the first states to mandate reporting of ventilator-associated events (VAEs)—helping to promote accurate reporting of data. This entry was posted in Prevention and tagged HAIs, healthcare-associated infections on January 14, 2015 by SC DHEC.